Must say it keeps becoming better and better. Love the attention to detail! Probably still has some way to go, but I like where it's headed. It's wonderfull! 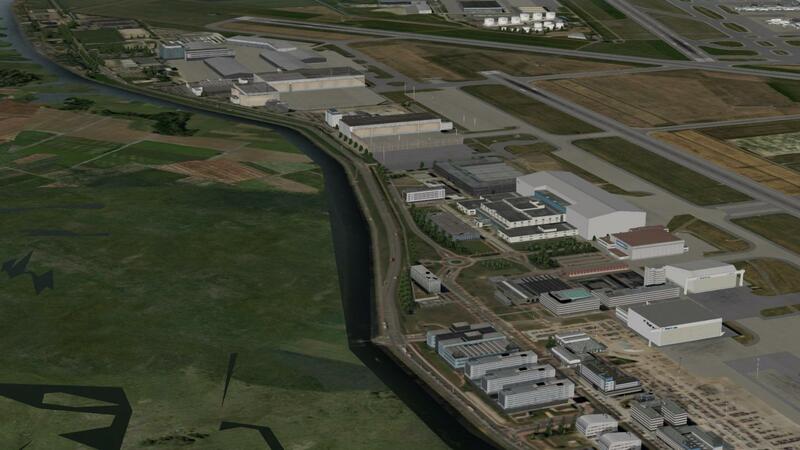 And from a long FSX use, it seem's to be sharper and visually better than FSX scenery. Very good job. My great regret with XP10 is, at this time, the low intelligent traffic due to a different managment of this item than FSX one. What is make sceneries very poor without AI traffic. I hope in the futur it will be a new way of development to enrich sceneries ambience. So for the sceney itself an only thing to say, perfect and keep it up guys!! . Whoa! Seem XP10 was provided more development environment. Looks very nice. Is there an option for some bagage loaders etc. to port over to FSX? I don't mean to remake AMS X, but maybe some objects. As much as I respect the work of the development team, I can't help it, but it looks kinda horrible compared to DreamFactory's EHAM. The textures, but especially the ground poly's look really simplistic. The work presented here doesn't meet the Aerosoft standard, it is not even payware quality. 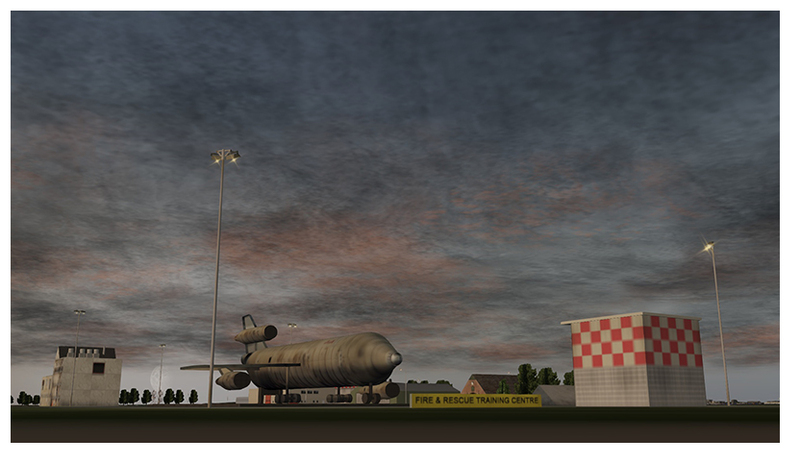 If you want people to switch to XP10, you will have to offer something better then what Cornel's work has to offer for FSX. Please, I am not bashing on the developer(s), I am just a little disappointed by what is shown here. Could we know the names of the developers who are working on this project? Ahhhhh look at all the X-plane bashers. For years X-plane has been thought of as the under dog...But now the tides are turning. I love FSX to bits and have spent as much £££ as I could afford on it. 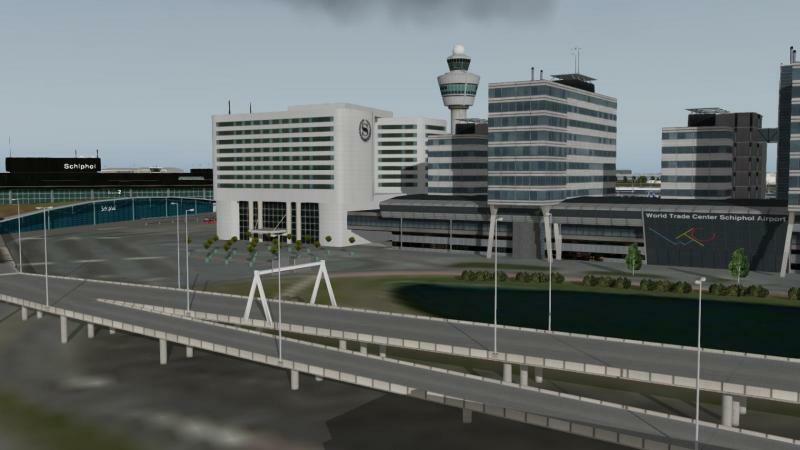 But if you have not even tried the demo of x-plane 10 how can you comment ? these pictures look amazing but still wont do it justice. Flying around Aerosoft KEF with a steady frame rate of 35+ with all of the nice lighting and engine haze effects is so bloody good....something which i wished FSX to be. and in the next update or so it will be 64 bit, fully future proof. 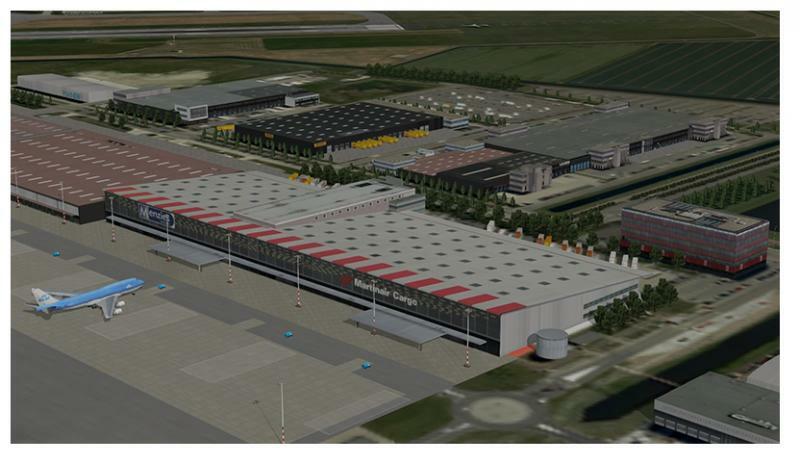 This project looks really good and the x-plane world is looking promising for sure. Oh no, please don't get me wrong. I am not bashing on XP10. 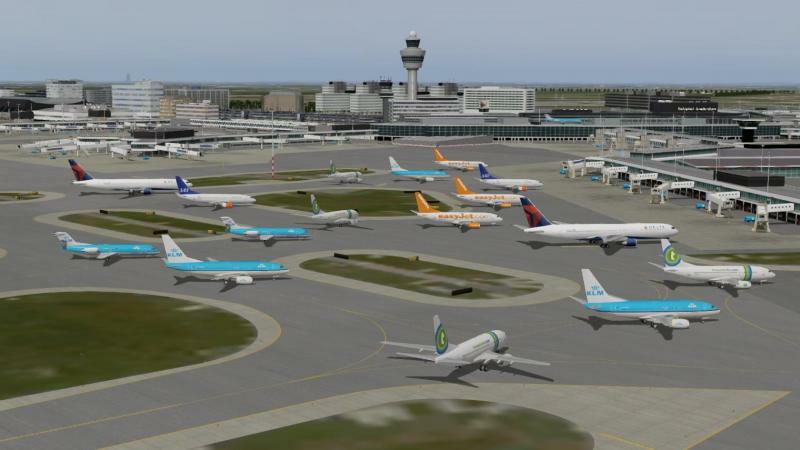 XP is a very promising platform with all the capabilities op FSX and even better. I'm just stating that what is offered on payware level for a new sim, should be of the same quality or better of what is offered on payware level for the current sim. The work presented here doesn't meet the Aerosoft standard, it is not even payware quality. I don't disagree with you about the ground polygon being blurry, I assume it may be a limitation of X-plane's texture resolution compared to FSX's level of detail (down to a whopping 7cm/pixel texture resolution). But you can't surely believe that this scenery package is not payware quality? Extremely impressed...but to be picky - Easyjet only flys the Airbus A319/A320 now. And was there a pilots strike on the day the snapshot was taken? Yes, looks great, but I do agree the ground textures look like temporary placeholders - it really needs to be much higher res, either that or just exclude it, as it detracts from the rest of the high res textures. Looks quite good and it is really time that xp get some payware quality airports. 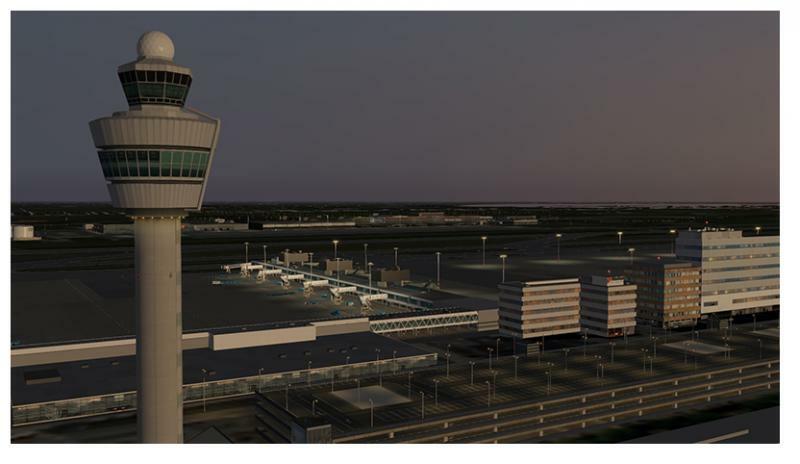 There are some as freeware like moscow but not eham yet. Normally it is easy to use on every airport yourn own ground texture. 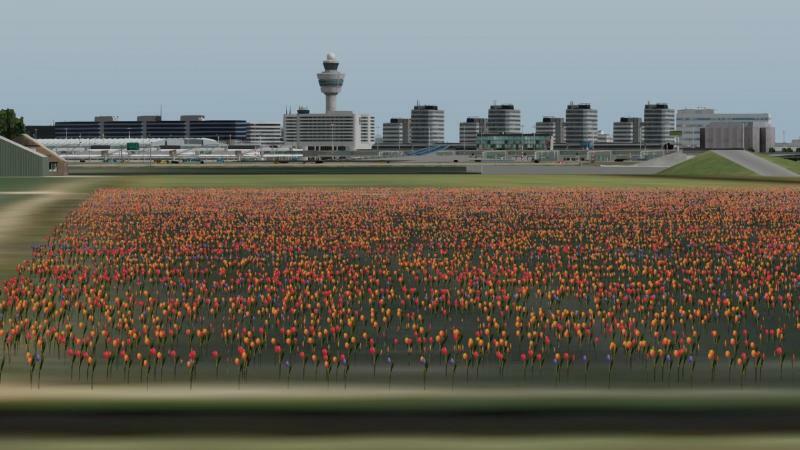 So on my machine I have the netherlands in a high resolution fototexture which looks very impressive together with an eham conversion. Would like to know if this would be possible with the new ehamg to. I agree with the comments on the ground textures. 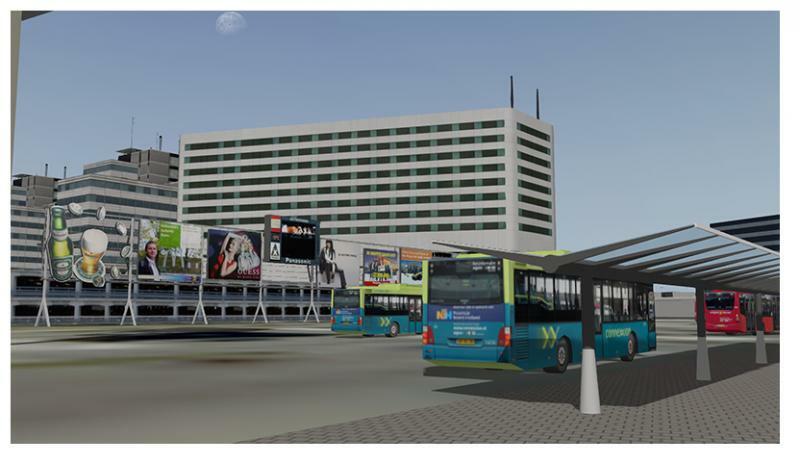 The buildings look very good, the detail and texturing of those is great. 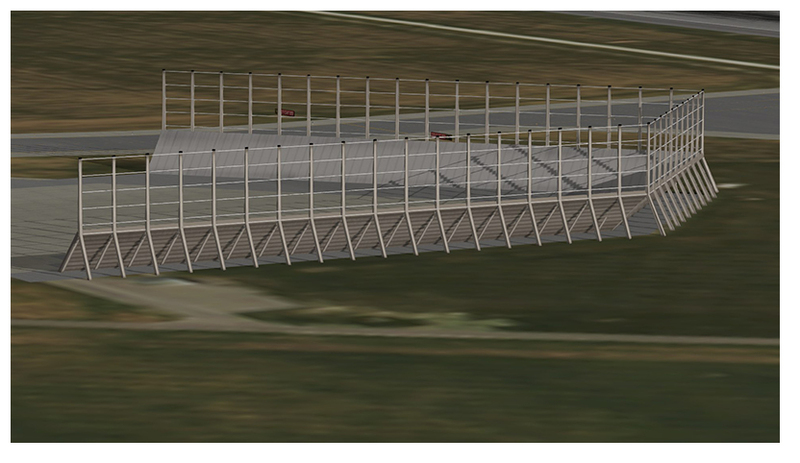 The photoscenery however is very blurry and I can't help but find the taxiway textures to look rather plain. 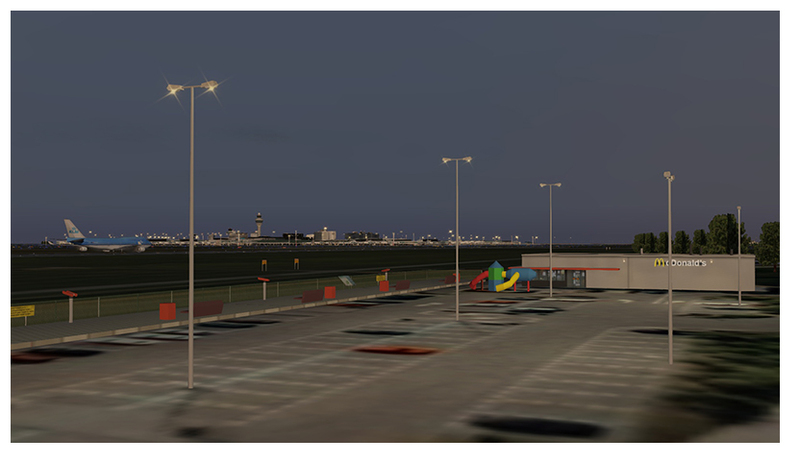 I hope these get treated before release, because X-plane BIKF for example seems to have much better taxiway textures. 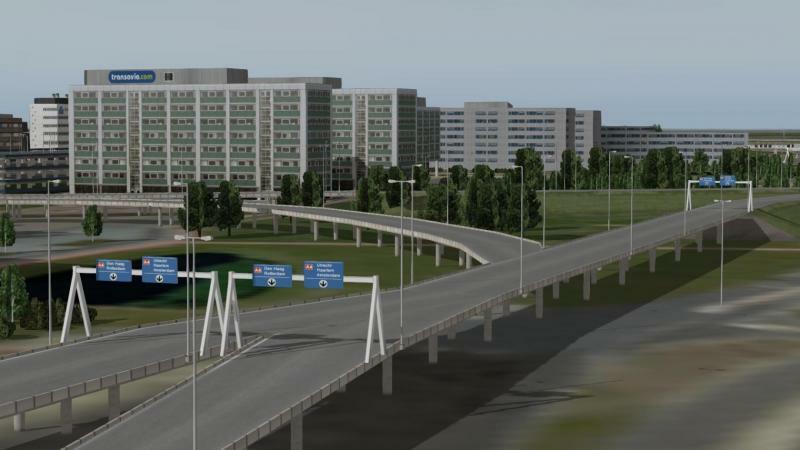 Great work on the airport I have the same issue the ground work could use a higher resolution texture in all honesty it confuses me I thought x-plane 10 had the the ability to go higher? 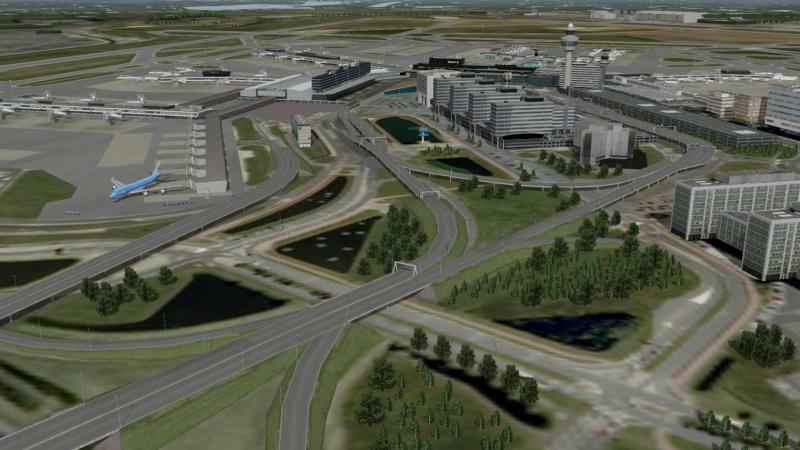 I would have thought aerosoft and some of the other scenery developers spoke to Austin and his team about ground polygons and making them better then fsx maybe in a future update. 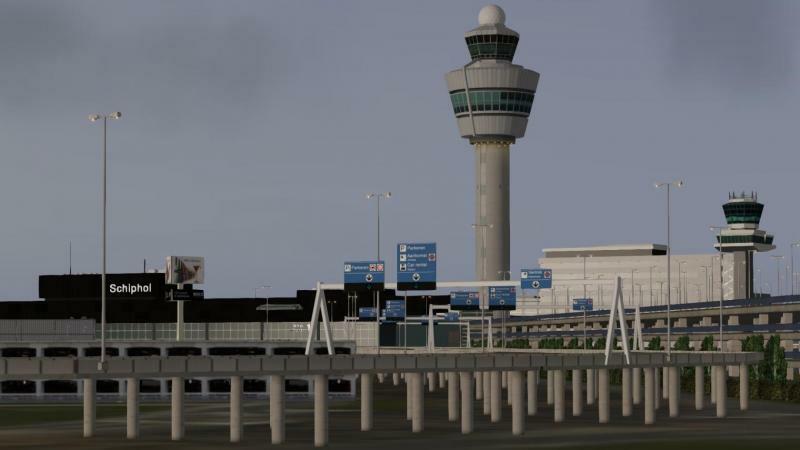 Great work on the airport I have the same issue the ground work could use a higher resolution texture in all honesty it confuses me I thought x-plane 10 had the the ability to go higher? I would have thought aerosoft and some of the other scenery developers spoke to Austin and his team about ground polygons and making them better then fsx maybe it a future update. 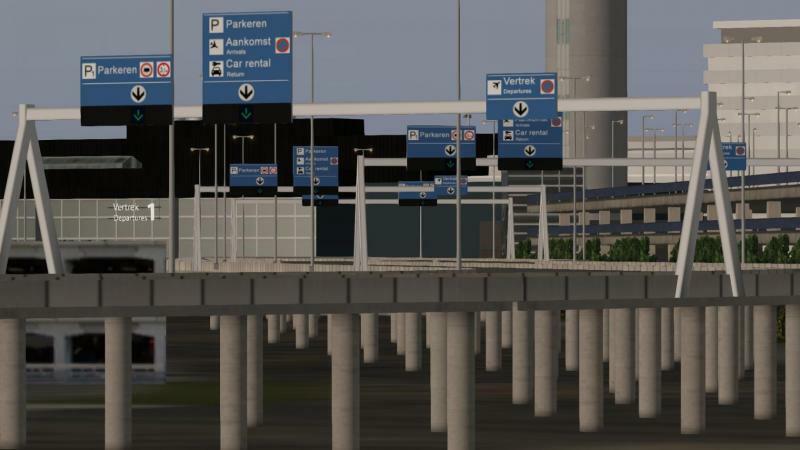 I don´t think that this is an x-plane issue, as the texture resoultion on Aerosoft´s Keflavik is quite good. It´s maybe more related to the scenery pack itself, but you have to keep in mind, that high resolution photo textures are expensive. 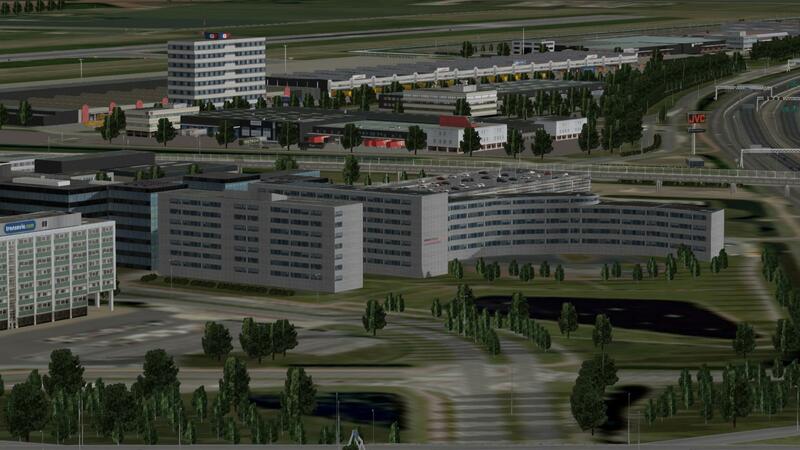 The ground resolution image is the same as in the FSX version. In fact it is the same image. and in fact this is work in progress! While that seems easy to understand for FSX projects it seems that any image of work in progress for X-Plane projects seems to invite comments. I do not understand why. Perhaps we should not show these progress reports. 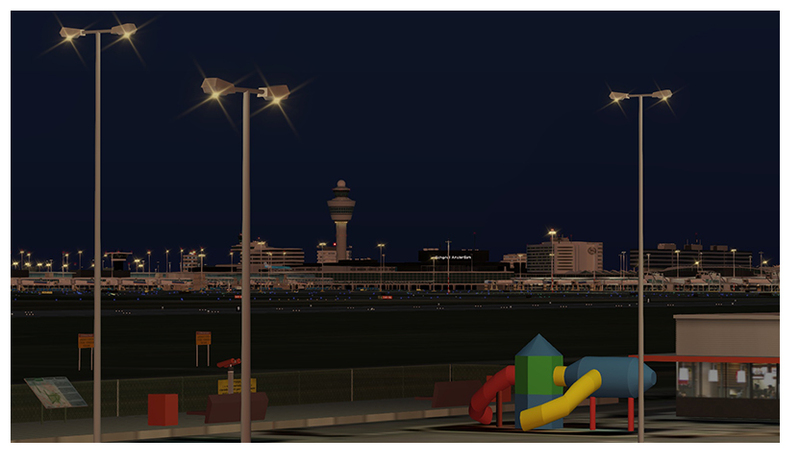 We currently have 6 conversions from FSX to X-Plane going on and in all of these the X-Plane version looks better in static view and whopping lot better when you actually use it with dynamic lights. It's the aircraft where X-Plane got something to make up. FSX does not even play in the same ballpark. 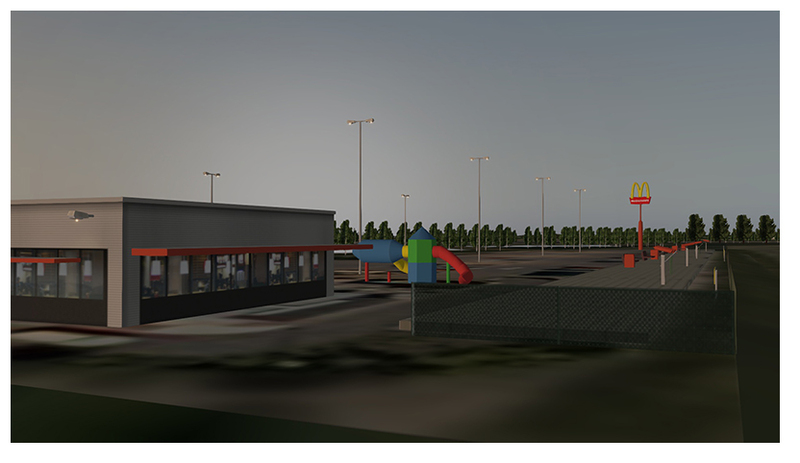 There are around 200.000 light sources there, all shining light on objects, all shading. FSX would choke on 200. Just give us time to get serious professional development in progress like it has been in progress for FSX for 5 years. 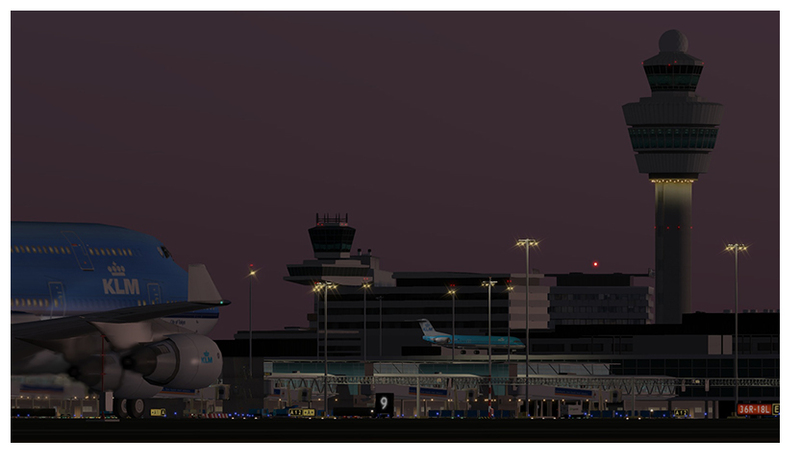 Looking very good guys, loving the XPlane variable night lighting! 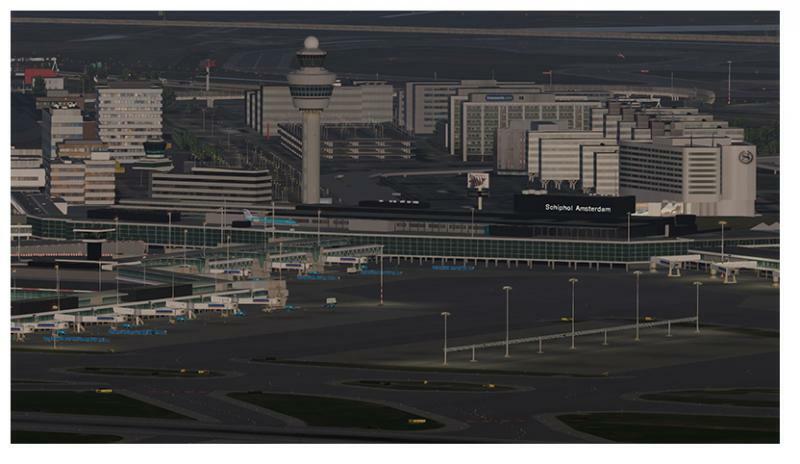 I haven't flown to around FSX EHAM because of the FPS, so I can't compare it to the FSX version and in fact I also didn't do this in my post either. To be honest, I would have said the same things about the scenery if this were an FSX development. No matter what platform it is for, I think the ground image could be higher resolution and the taxiway/runway textures could also use some extra work. But indeed, if you don't want comments, then don't show anything. We all know this is work in progress, but that doesn't mean we won't say what we think about its current state. All these projects do prompt me to be more and more serious about my thoughts of giving X-plane a try. However, I will be waiting until there is much more available, both for sceneries and aircraft. 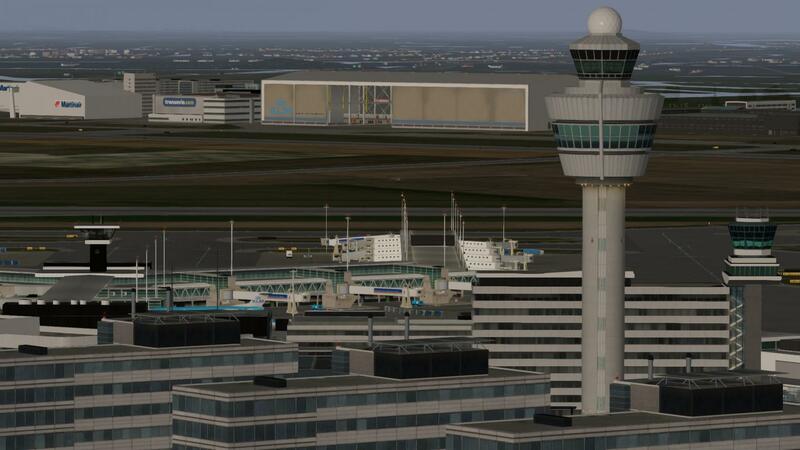 "I haven't flown to around FSX EHAM because of the FPS, "
Well we got plans for two of those in X-Plane 10! I'd be happy with (and buy) any of the above though.